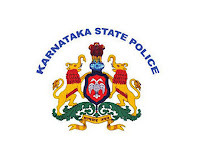 Karnataka State Police invites applications from eligible candidates in India for Civil Police Constable Posts from Men and Women .Only those candidates are eligible who have passed PUC, 12th Std (12th Std-CBSE, 12th Std-ICSE, 12th Std-SSE) or equivalent. Only those candidates are eligible who have passed PUC, 12th Std (12th Std-CBSE, 12th Std-ICSE, 12th Std-SSE) or equivalent. Minimum age 19 years & Maximum age 30 years. Apply Online at the Karnataka State Police website http://pcnhk17.ksp-online.in/index.aspx before 12-June-2017.For further details visit the website and go through the complete advertisement before applying for the post.